Following up on the first generation of Lockitron, Apigy has announced the new Lockitron with a bevy of added features. Most notably, the new version of Lockitron utilizes Bluetooth 4.0 to sense when the apartment resident or homeowner is approaching. Assuming that the user has an iPhone 4S or 5, the Lockitron will automatically unlock the front door without any interaction from the user. In addition, Android owners will be able to wave their NFC-enabled device in front of the door in order to gain entrance according to AllThingsSD. After the user has entered the building and closed the door, the Lockitron automatically engages the lock again. When someone enters the residence using a key, Lockitron will send users a message that someone has arrived. This feature can be particularly helpful for parents that want to keep track of their kids as they return home from school each day. 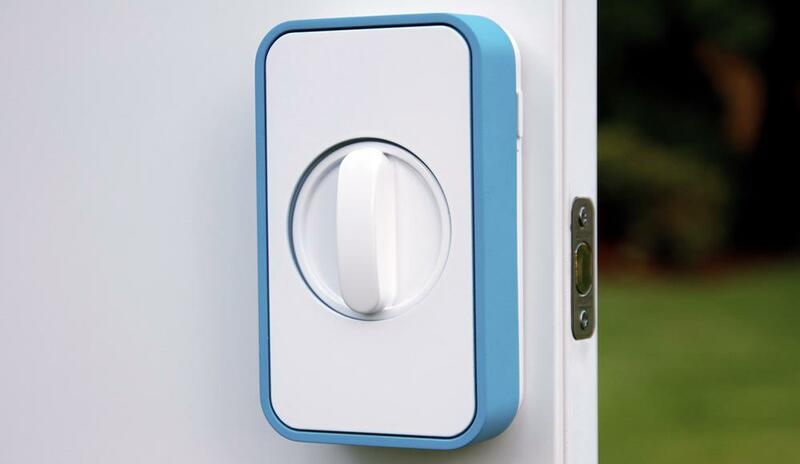 In addition, the new version of Lockitron has a built-in motion sensor that detects when someone is knocking at the front door and sends a notification message to the user. This would be ideal for large homes, especially if someone is located upstairs or on the opposite side of the house. 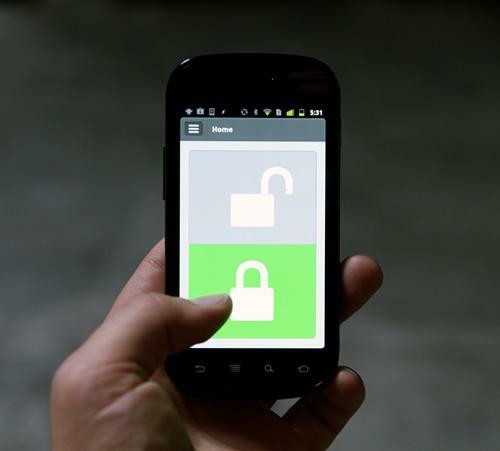 Available for both iOS and Android, the Lockitron mobile application allows the user to unlock or lock the door from any location. 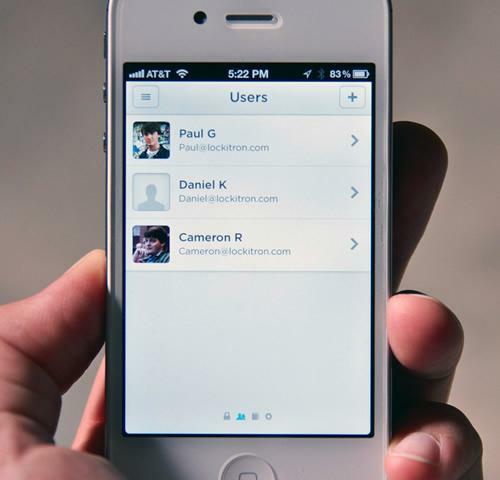 In addition, users can share access to the Lockitron with friends and family on a regular or timed basis. This feature could be useful when you need to allow a visiting family member to enter the home, thus avoiding having to hide a key underneath the welcome mat. If a user loses their smartphone for any reason, the Lockitron can be remotely disabled by changing the password and entry to the home or apartment will be kept safe from intruders. If a user hasn’t upgraded to a smartphone yet, the Lockitron will accept text message commands in order to lock or unlock the door. However, there is a $5 monthly charge for text message access. Different from the original Lockitron, the new version doesn’t require any major installation. In fact, renters can use the new version of Lockitron by simply loosening the deadbolt plate on the interior of the door and slipping the mounting plate behind the deadbolt plate. The Lockitron latches to the mounting plate and tightens until securely fastened on the front of the door. The device is powered by four AA batteries and sends messages to the user when the batteries start to run low. Interestingly, the new version of Lockitron includes an ATMega microprocessor which allows users to tinker with other methods of entry. For instance, the promotional video shows the user playing a series of musical notes to activate the Lockitron. The new version of Lockitron comes in three different colors which include black, blue and silver. With design similarities to Kickstarter, Apigy launched the preorder page approximately 36 hours ago and have already taken orders for nearly 6,000 units. However, Apigy won’t charge a user’s credit card until the product is ready to ship. Apigy expects the new Lockitron will be available by March 2013.